Rouslan Toumaniantz is a well known Belgium-based tattoo artist. He met a girl named Lesya, a designer living in Saransk, Russia, on Internet. They fall in love, and about a week ago they met in person in Moscow and decided to get married. 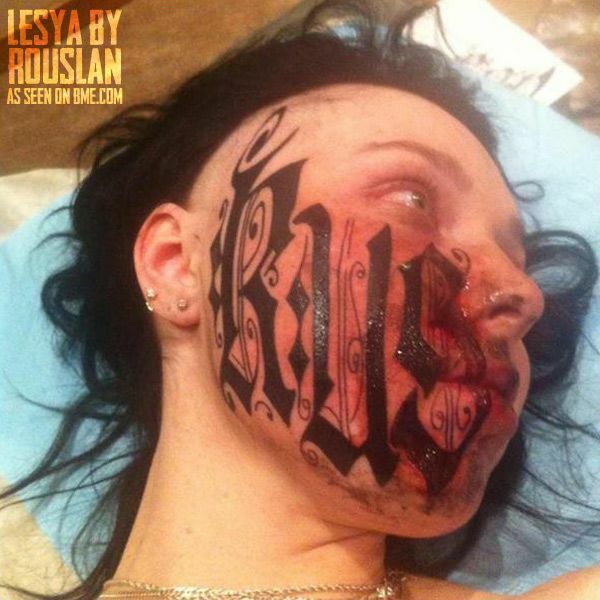 Lesya got a facial tattoo with the name Rouslan, that looks more like a MS-13 gang tattoo. What will she do if they would decide to break up? I think she`s a little :09: and will regret this Act for sure,.,. Damn, shame to go an spoil herself like that. She looks like an attractive girl. She WILL regret that. Getting a name tattoo is a stupid idea. 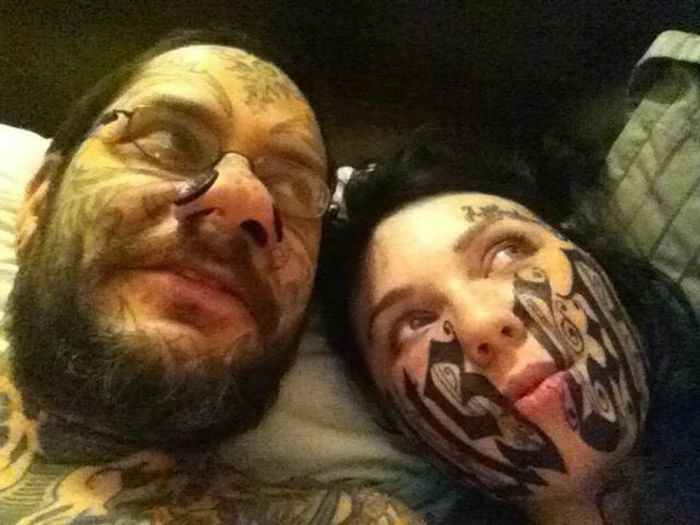 Getting a tattoo on your face is really stupid. Combine the two??? If they break up, she can still change that into Japanese and people will think she's in love with a ninja. omg, she's really cute.. why? erm he's a bit weird!